Lee Conway has done a lot of travelling in his time. Born in wartime Poland (immigrating to Australia at age three and then roaming the rough inner city streets of 1950s Melbourne), Lee was never taken with music until he heard something he could really relate too - Johnny Cash. Soon Lee began his own truck-driving business and hit the road (chewing through tapes of Cash and his other favourite Lee Hazlewood). His earthy baritone made him a natural for country music and his first 45 release (recorded on a whim) became an overnight Top Ten sensation in 1969. 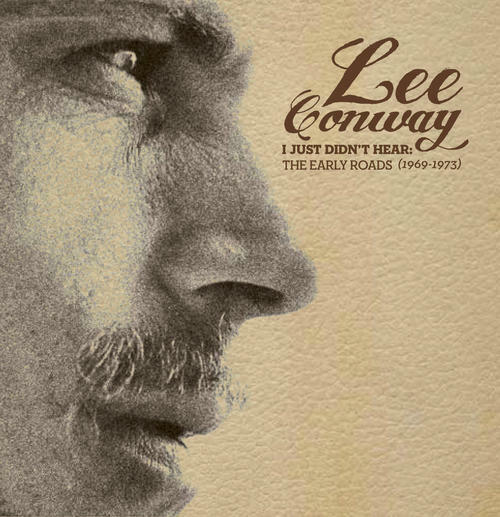 Conway never looked back - becoming an icon of rough-edged but thoughtful antipodean country music - born from Cash and Hazlewood but with a urbane perspective and introspective atmosphere all his own. Before international success, trucker-themed LPs (from a former real-life trucker) and prime-time TV shows, there was a raw Lee Conway - poetic, insightful with just a little magic, mystery and Great Southern Land Gothic Noir. Collected for the first ever time here are Lee’s seminal early 45s, key album tracks and a previously unreleased 1969 demo. 26 tracks. •Icon of Australian 1970s country music gets his first ever official compilation of sophisticated and atmospheric forgotten early sides/rare cuts. •Remastered 2015 from the original first generation analogue master tapes! •16 page full colour booklet with exclusive liner notes and photos!